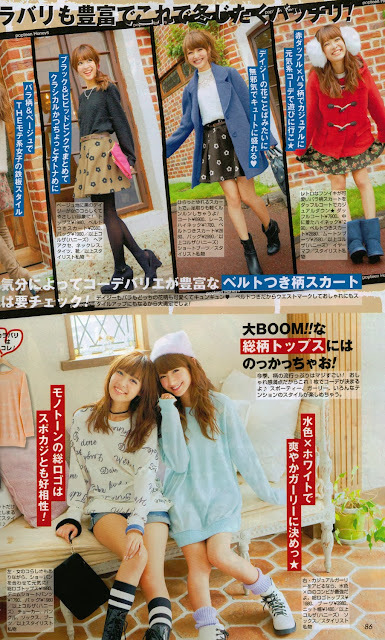 Today as promised some impressions of the December issue of Popteen! For gals with long hair it's good to know how to style it well but girls with medium hair can't do most of the shown stylings - It's simply not possible or it doesn't look good on shorter hair. Another big topic was is the "doll style" which I really like. In the magazine are a lot of ideas of styling and make up to doll up yourself - literally. The cover really is a girly one, isn't it? 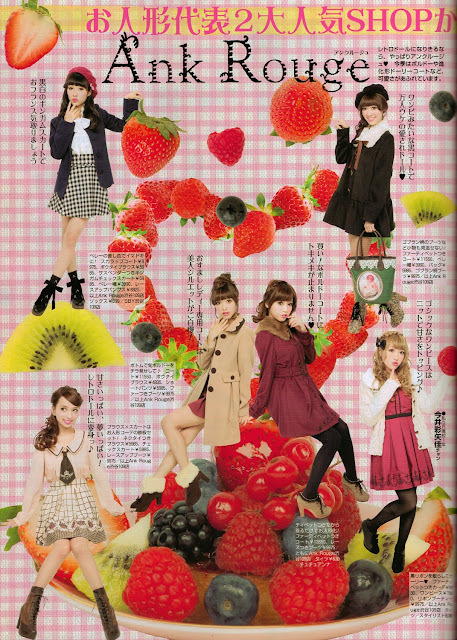 Liz Lisa and Ank Rouge are my favourite brands (that never fit my body measurements). that can't be missed this winter. The red shoes are really cool! Different stylings for daily life and school. You know this is always my favourite part of magazines. There were many more interesting pages but in the end I really was too tired to scan them all. So, tomorrow I'm having my last working day and when I've got almost a week of holidays! Got a few nice surprises! Have you had a merry little Christmas?